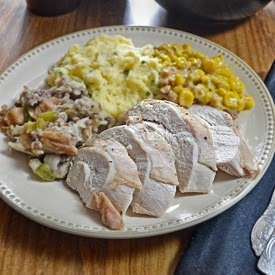 Over the last few years I have tried several different ways to cook turkey with good results. Last Thanksgiving, I fried a turkey for the first time and it was delicious. Before that, I had used a brine a number of times with great success. I decided to try something completely new this time and hoped it wouldn’t turn out as a culinary disaster. Instead of a whole bird, I went with just the breast portion. For seasoning, I slathered it with a compound butter after patting it completely dry. Next, I wrapped the entire front side of the breast with bacon, so that as it cooked the drippings would keep it moist as well as enhance the flavor. Finally, I roasted the breast on a bed of quartered lemons and oranges and tossed in a bundle of fresh thyme for flavor – the citrus base steamed the breast from below. The end result was a tender, moist and flavorful bite that my youngest nephew declared “awesome” after stealing a chunk from the cutting board just after I had carved it from the bone. As I mention in the introduction, I have made turkey several times. Two of which I documented. These recipes are really what is behind this bite. Check them out! Mix together butter, Italian seasoning, salt and pepper. 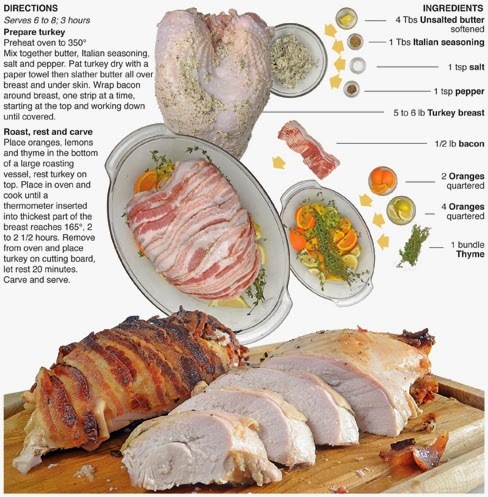 Pat turkey dry with a paper towel then slather butter all over breast and under skin. Wrap bacon around breast, one strip at a time, starting at the top and working down until covered. Place oranges, lemons and thyme in the bottom of a large roasting vessel, rest turkey on top. 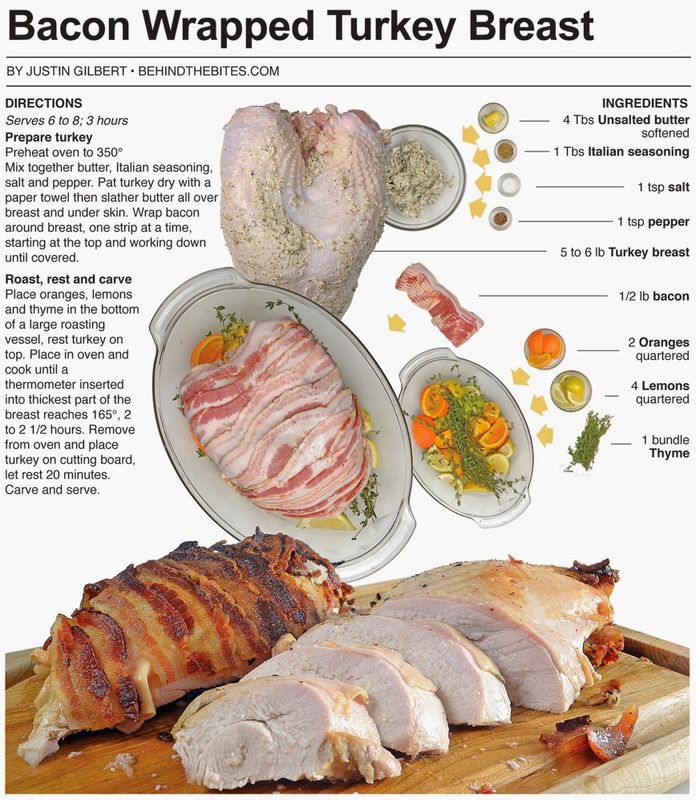 Place in oven and cook until a thermometer inserted into thickest part of the breast reaches 165°, 2 to 2 1/2 hours. 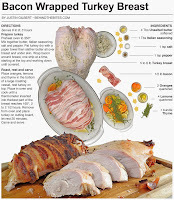 Remove from oven and place turkey on cutting board, let rest 20 minutes. Carve and serve.